Yaro was born in Havana city on January the 17th, 1971. He began his electric guitar studies very young and he did it in an autodidactic way. In the late 80s, he joined the local heavy metal band Sacramento. In the beginning of the following decade, he enrolled in the study of classical guitar in the Conservatorio Ignacio Cervantes; nevertheless, with the crisis of the 90s in Cuba, he had to work to support his own family and quit his studies. During these harsh years, he attended a course to be technician in maintenance and repair of automobiles. After that, he became an apprentice maker of musical instruments principally guitars in a workshop. Here, he learnt how to be a Luthier under the guidance of the Mexican professor Abel García, from Paracho, and until our days, he has not stopped making instruments, such as guitars, tres (typical Cuban smaller guitar) and lutes, all of them labeled with his name. While he was learning this new art, he retook his musical career, and in 1994, he joined one of the most influential band in the Cuban metal scene: Agonizer. This bunch of musicians played death trash, and Yaro began moving the string of the lead guitar by that time. As a member of this metal formation, he composed very important songs and recorded the album Bless the Innocence (2004), with which he embarked in a tour along the island participating in festivals and giving massive concerts. His friend Osvaldo Vietes, who at that time was the drummer of Anima Mundi since late 2003, called Yaro to ask him to join to Anima Mundi as a bass player. Yaro finally entered as an official band bassist in early 2004. That was the moment in which they decided to record the second CD of the band: Jagannath Orbit; and with this production Yaro clearly showed his gift and skills performing as a bassist. In 2005, when his friend Osvaldo Vieites left the band, he also said farewell to Agonizer and this same year he officially became an Anima Mundi regular member. So far, Yaro has had a long and significant career not only live but also in the studio adding to his resume the recordings of the following Anima Mundi albums: Jagannath Orbit (2008), The Way (2010), Live in Europe (2012), The Lamplighter (2013) and I Me Myself (2016). He has performed in all the band’s tours since 2004 until the present day. Yaro is also a guitar professor. He does this part time job mainly at ISH International School of Havana, but he also keeps working as a Luthier from time to time. 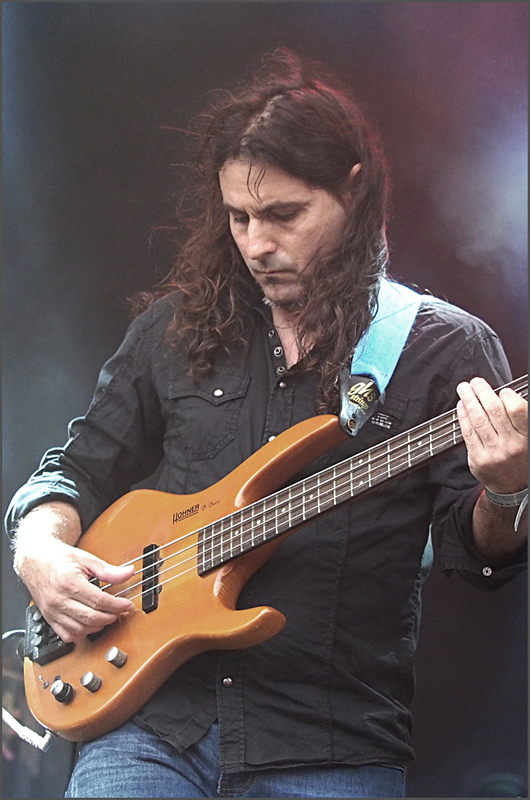 With the past of time, Yaro has demonstrated to be one of the best bassists in the progressive rock scene nowadays characterized by his driven and aggressive sound along with his concept of harmony and ambiance.